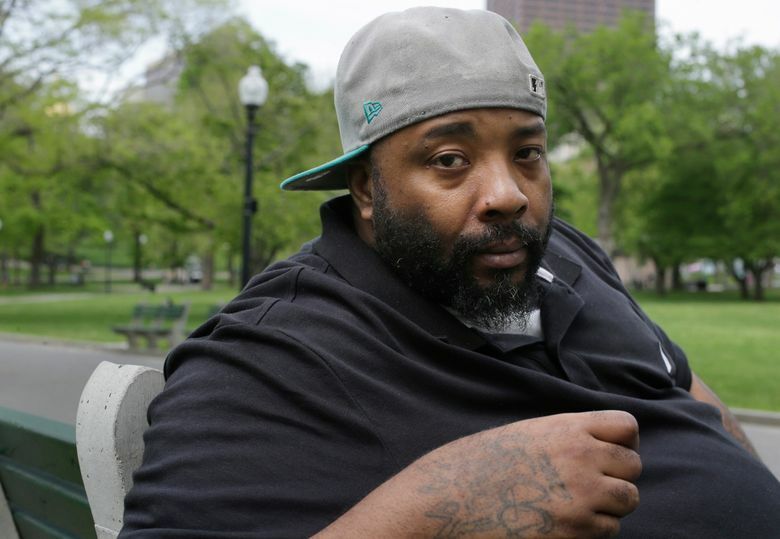 BOSTON (AP) — Emory Ellis, a black homeless man in Boston, was hungry so he went to Burger King one morning in 2015. But instead of breakfast, Ellis got a ride to the police station and more than three months in jail after he was wrongfully accused of using counterfeit cash, he says. Ellis’ attorney said the cashier likely wouldn’t have questioned if the money was real if a white man in a suit handed him the same bill. Even if he did, the cashier probably would have apologized and said he couldn’t accept the cash instead of calling police, attorney Justin Drechsler said. “A person like me would’ve gotten an apology, but a person like Emory somehow finds his way in handcuffs for trying to pay for his breakfast with real money,” said Drechsler, who’s white. A Burger King Corp. spokesperson said the company does not tolerate discrimination “of any kind,” but cannot comment on the specifics of the case. The company said the franchisee is responsible for employee training and handling legal matters about the location. Two Guys Foods, Inc., the franchisee, didn’t immediately return a phone message on Wednesday. A number for the cashier, who’s also named in the complaint, couldn’t be found in public records and it wasn’t immediately clear if he has a lawyer. Ellis’ lawsuit, which was first reported by digital legal news service Law360, was filed this week in Suffolk Superior Court. He’s seeking $950,000. The lawsuit comes weeks after the arrest of two black men at a Philadelphia Starbucks and other cases that have shined a spotlight on minorities’ interactions with law enforcement. Starbucks says its employees will receive racial-bias training after an employee called police on the black men because they hadn’t bought anything.